RIV in the SUV stands for Rapid Intervention Vehicle, built by a UK Company Horbida-MIRA. The company is a developememtn and consultancy organization to various vehicle manufacturers. The RIV has been built under the Comission of NIMR which is a military vehicles based in the UAE. 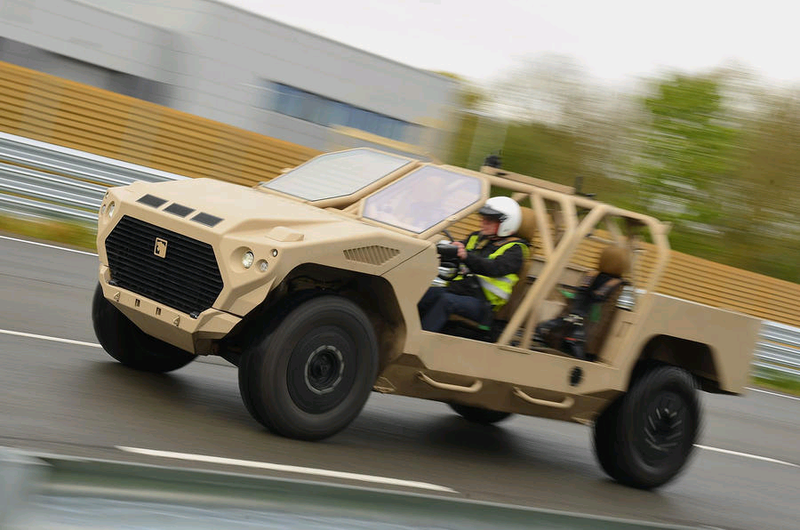 The SUV was built on their demands to build a high performance vehicle to be used in the desert for the UAE special forces so that they could quickly make it into dangerous areas via Chinook helicopter. The SUV is powered by a powerful 3.0 litre V6 engine which is utilized from a Maserati Ghibli. it produces a maximum power of 300 hp and gives out a torque of 601 Nm. The RIV has a good weight of 4000 kilograms and makes it from 0 to 100 kmph in about 10.5 seconds despite it's heavy structure. The SUV is interestingly aerodynamically designed to guide sand over the top of it and avoid clogging. The SUV can cover a distance of 966 kilometres even when running on 100 kmph on a full fuel tank. does this suv has the capability of towing? my friend wants to buy for his service of 24/7 towing services .